Run by ‘Special Guardians’ for guardians & families with Residence Orders. We aim to provide heartfelt friendly advice and confidential one to one support for both you and the children you may now have under your wing. We provide a Professional Independent Counselling Service tailored to fit the needs of your family, including specialist training in attachment disorders/styles in children, with no long waiting lists. We are here to support you in maintaining a loving home and family. 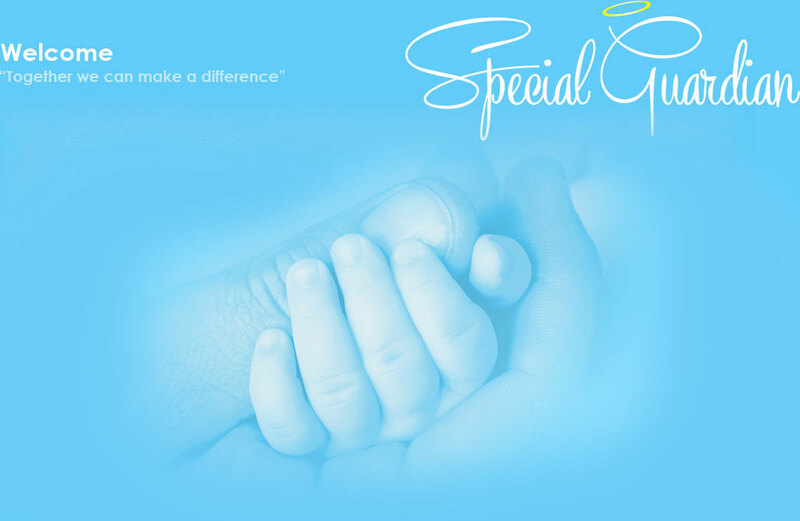 Special guardian support and therapy services. Special guardianship is a way of giving a child who is unable to live with their birth family – but connected to someone close to them - the love and security of family life. It is a legal procedure and a Special Guardianship Order is granted by the court, so when a child becomes subject to a Special Guardianship Order they are part of that family until they are 18 years old. The child keeps their name and the birth parents retain some parental responsibilities but the special guardian gains enhanced rights and responsibilities. To become a special guardian the most important thing is that you know the child well and have a close, stable relationship with them. •	The child is in the care of the Local Authority and you have their consent to apply. Our vision is to help fundraise for the Special Guardian Charity and support families by offering guidance, information and opportunities to mix with other families who are experiencing similar circumstances. Enabling to deliver bespoke activity packages and help build confidence for children and families going through a difficult time. However, making friends, having fun and creating a future for you and your new family is a key part of our vital work. We will be shortly setting up this worthy project and your support and continually help maintain support for families with Special Guardianship and Residence Orders. I became a Special Guardian 2 years ago and look after my nephew. The journey to become his legal guardian was long and quite an invasive procedure. It took 12 months of assessments and monthly visits to court before we finally got our order. He would often ask ‘why all these people were in his world’. He did not believe that the court/ judge would let him stay with me forever and was waiting for someone to tell him ‘you have to leave’. When we were granted the Special Guardianship Order we both went to see the judge. It was then my nephew cried tears of happiness, he had a ‘forever home’. Life is good now and we have both settled into family life. He is dong very well at school and has made friends. I can now raise him without the worry that he may be moved again, we have permanence in our world. A Special Guardianship Order is a new order introduced by The Adoption and Children’s Act 2002. It provides for an alternative to a Residence Order or Adoption Order which allows for both security and permanence without extinguishing the rights of the birth parents. The creation of the Special Guardianship Orders came about following government investigations revealing the need for there to be a new kind of order which would meet the needs of certain carers and specific children such as older children who want to keep a legal link to their birth family or unaccompanied asylum-seeking children who require secure and permanent homes but also have strong family attachments. In practice a Special Guardianship Order grants legal parental responsibility for the child to the Special Guardian to the exclusion of any other person with parental responsibility (apart from another special guardian). The parental responsibility is expected to last until the child is 18 or beyond if in full time education (for more information on Parental Responsibility please refer to our Guide to Parental Responsibility). It should however be noted that although parental responsibility is granted to the Special Guardian, the birth parents retain some semblance of parental responsibility in that they can consent or not to the child’s adoption or placement for adoption. The child to be removed from the jurisdiction for a period of over 3 months. A Special Guardianship Order appoints one or more people to be a child’s Special Guardian. As a Special Guardian you have the day-to-day responsibility of all aspects of caring for that child but also most major decisions about their upbringing including education and health treatment. You are any other person with permission of the Court to apply. Applying for a Special Guardianship Order? If you qualify to apply to be a Special Guardian you must give the Local Authority 3 months written notice of your intention to apply for an order. The report will also give recommendations as to whether or not an order should be made. It is open to the local authority to arrange for an other suitable organisation to prepare the report. The Court cannot make a decision without such a report. What is the Courts and Parental Responsibility? The Court may also consider changing he child’s surname or granting permission for the child to be removed from the country for a period of over 3 months. It is also within the Court’s power to make a Special Guardianship Order with respect to a child’s welfare in any family proceedings even if no application by any party has been made. The holder of a Residence Order if still valid or someone who had one before the Special Guardianship Order was made. First get the permission of the court and secondly show a change of circumstance since the making of the Special Guardianship Order. This is only a brief introduction to the law relating to Special Guardianship Orders and is not a substitute for detailed legal advice. @Cornwall Law LLP Solicitors are Special Guardians host Solicitors and can offer 1/2 hour free legal advice for those considering Special Guardianship Orders as a way forward. If you would like to find out more about Special Guardianships and how together we can help, please use the contact form opposite.